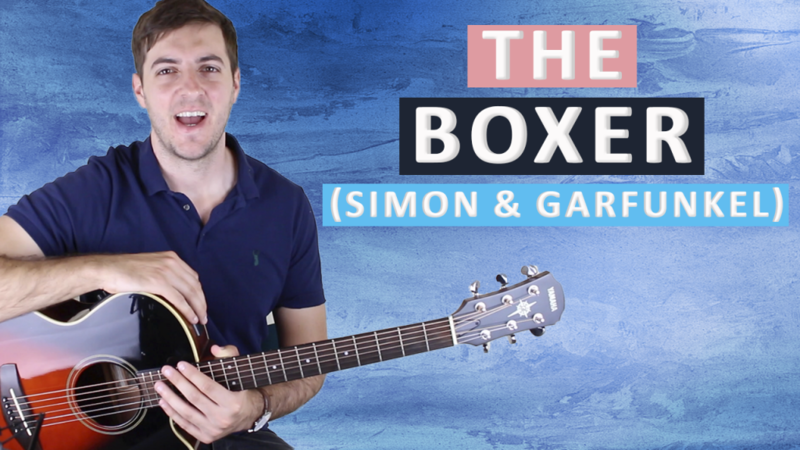 Scroll down for full video lesson (with tab) of The Boxer by Simon & Garfunkel. The Boxer appears on Simon & Garfunkel's fifth studio album 'Bridge Over Troubled Water', which was recorded in 1970. The song was released as a single on the 21st March 1969 and reached number 7 on the US Billboard Hot 100. The Boxer was a follow-up to one of the duo's most successful singles 'Mrs Robinson' and Rolling Stone went on to rank it at number 106 on their '500 Greatest Songs of All Time' list. The Boxer is no. 30 on my Top 60 Fingerpicking Songs of ALL TIME list. If you've not seen the list be sure to check it out and sign up to my weekly email lesson so you don't miss learning any of these great fingerstyle songs. 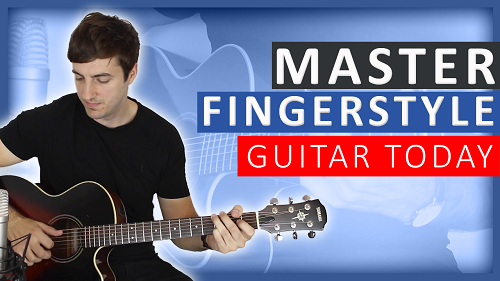 We're now exactly halfway through the list of 60 fingerstyle songs, and so far it's been a real pleasure teaching you all the tunes. There's still so much more to come and the songs just keep getting better and better! The Boxer has its challenges when it comes to playing it but it isn't super difficult. There are no difficult chords or big stretches or anything like that. You may find the intro a little difficult to get nice and smooth, and the right-hand picking pattern may also be a little tricky at first, but once you have those two things down the rest should come without too much pain. One thing that's a little hard is remembering the chord progression of the verse; it's pretty long and the chords seem to fly by at great speed but I'm sure you'll get it in no time! Key - originally in B major but we're doing it in C.
The important thing here is to get all the notes to ring into one another. There's a lot going on in the verse so really take your time. The chorus should come easier than the verse. Just watch out for the Em and Am chords that come up in bars 6 & 7. It's a subtle variation of all the other verses but gives the song a nice change. Hi, do you have a pdf for the Boxer” music sheet and tabs? Great lesson. Just joined your email list. Hey Brad, thanks for signing up to my list! I’m afraid the only tab I have is the one on the site. I don’t do the whole song from start to finish because of my concern for copyright, however the lesson has all the parts of the song tabbed individually. Hi is it possible to print the tab from the lesson for the Boxer.If i am trying to follow the tab i can not see the video printing would allow this. Hey Malc, I’m afraid that the tabs aren’t printable. Possibly in the future they may be but not currently. 100 fingerpicking patterns are very good;can tell you are classicaly trained; Guialiani would be proud! Really glad you think so. Actually classical music is something I know very little about. Growing up I was heavily influenced by blues, then I developed a strong interest in fusion/jazz. But underneath it all I’ve always just loved just great songs. go to;Ana Vidovic; plays intro & variations on a theme by Mozart op.9 by Fernando Sor; let me know if you like this tune? I have been playing for a couple of year and pretty much all the songs I have tried to play are covered on this site – if it was around earlier it would have saved me a lot of wasted time trawling the net for crummy tutorials! Hi James, really glad you enjoyed the lesson. I hope I can continue to help you grow as a player!